I've seen a lot of posts regarding the proper method used to check the air pressure in liquid filled tires. I wanted see for myself if there was a variation in air pressure. I started with 15-19.5 R4 tires filled just above valve stem with water/anti freeze mixture. 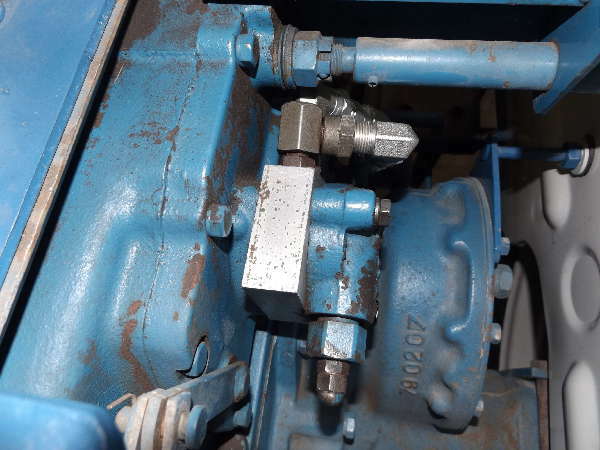 (valve stem should be covered to prevent corrosion). I then put valve stem at top and let out liquid until only air came out of valve stem. I repeated steps #1-#4 got the same results. I hope this test will clear up some confusion regarding the proper method used to check air pressure in liquid filled tires. I would agree that you can get an accurate reading at any valve position. However, I have also found that when you get you tire gauge full of whatever is in the tires it goops it up and doesn't work so good next time. When checking fluid filled tires you need a pressure guadge made for fluids. Your better tire shops with tractor tire repair can direct you where to buy locally.